A beginner's electric guitar lesson book for learning the basics of rock and blues. Follow along with 4 hours of guitar tutorials on DVD and 3 hours of audio tracks, with the help of on-screen graphics and printed diagrams. 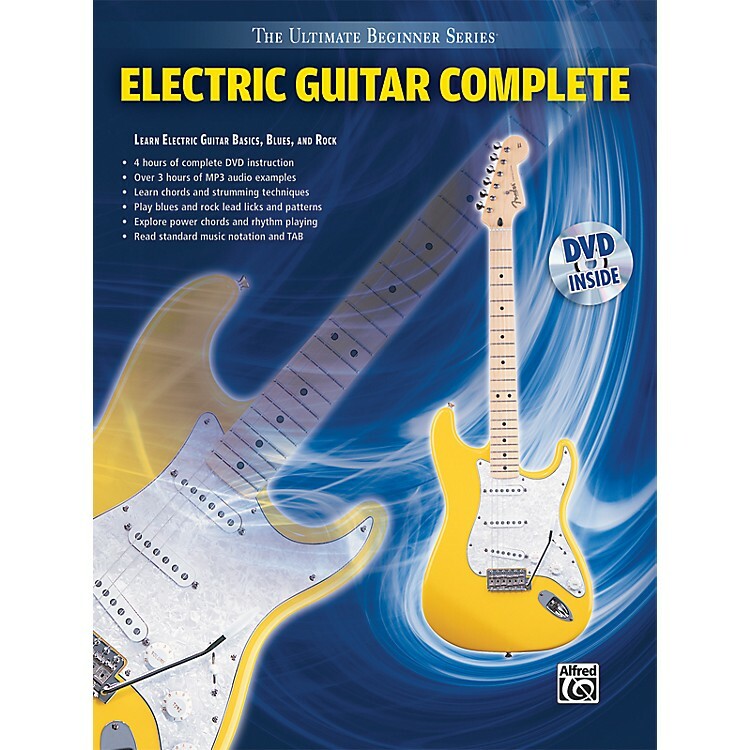 The Ultimate Beginners Series: Electric Guitar Complete takes you from picking to soloing and power chords. If you're serious about learning to play blues and rock styles, this book and DVD set are excellent instructional tools.